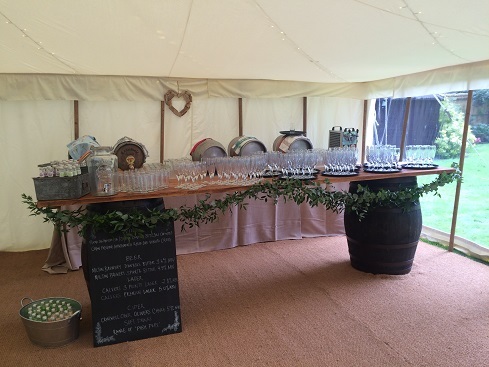 We headed to Hemmingford and we were very lucky to provide them with a traditional canvas pole marquee and event management for their summer wedding. They had fairy light canopy throughout the entire ceiling and a flower chandelier over the dance floor which was very beautiful. Each place setting had a tied bunch of delicate flowers to compliment the overall wedding flowers. 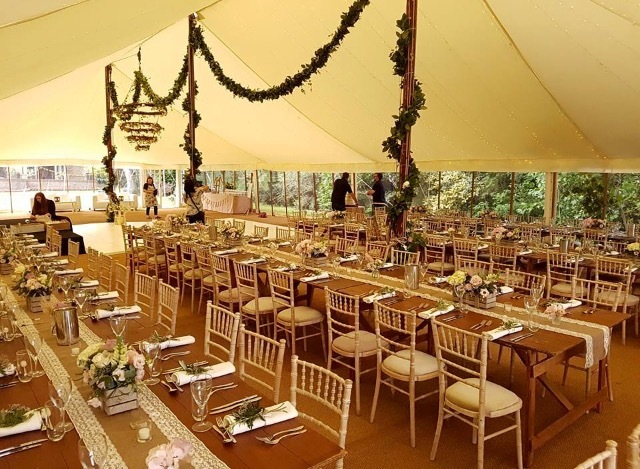 We had lace and hessian runners on our bare rustic wooden banquet dining tables.